Today, I continue the Christmas Mystery/Crime Fiction list. It's amazing how many mysteries are set during the holidays, but it's such a stressful time, I shouldn't be all that surprised. Today Christmas Crime Authors E-H. Be sure and check the previous Christmas Mysteries list, Authors A-D. I've updated it. Please let me know if I've forgotten an author or book. 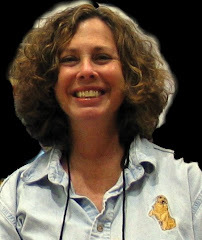 Barb Goffman. Chesapeake Crimes: Homicidal Holidays (ed with Donna Andrews and Marcia Talley) 4 Christmas stories by Donna Andres, Cyde Linsley, Linda Lombardi, and Debbi Mack); "A Year Without Santa Claus?" AHMM (Jan/Feb 2015); "The Worst Noel" in The Gift of Murder; "Christmas Surprise" in Don't Get Mad, Get Event. Hunter, Ellen Elizabeth. Murder on the Candlelight Tour, Christmas Wedding. Hi Janet: I'd like to mention The Christmas Tree Murder by Edith Duven Flaherty published in November 2013. Edie was a member of our writers critique group, and this was her last book. Her 90th birthday was December 7, 2013, and she passed away in February 2014. Edie started writing in her 60s and was a wonderful wordsmith. One of her best was The War in Dover's Landing. Just thought I'd let you know about her. She took First Place in the Writer's Digest Self-Published Book Awards a few years back for part one of her memoir titled Home Before Dark. Thanks, Patricia, and I'll add Edith to the list. Wow! Writing at 90...what an inspiration.